As a Certificated Flight Instructor for two decades I can give you a great example of the deadly distractions of driving while reading your cell phone. Here’s the example. In order to have an “Instrument Rating” for flying airplanes, students go thru a rigorous process of flying blind, i.e. flying with a vision restricting hood on their head that prevents them from looking outside the cockpit to see whether the aircraft is turning, climbing or descending. In other words the pilot must determine, among other things, the climb or bank angle of the aircraft solely by reference to the cockpit instruments. This first phase of instrument flying may easily take 5 hours of practice with the pilot looking only at cockpit instruments, while the instructor has the luxury of viewing both the cockpit instruments and outside visual references. Then comes the next step. Just after the pilot has grasped the fundamentals of maneuvering the aircraft while looking only at cockpit instruments, the instructor throws a curveball by handing the pilot a map or a chart to read and interpret. The result? A very predictable distraction that routinely leads to a deviation from the intended flight path … or worse. So what do we now see every day as we drive our cars? A distracted driver reading a cell phone. Unfortunately, we see this distraction every day. The traffic light turns green but the distracted driver doesn’t move because they are reading their cell phone … and while they’re reading they’re also drifting out of lanes or slamming into the rear of another car. 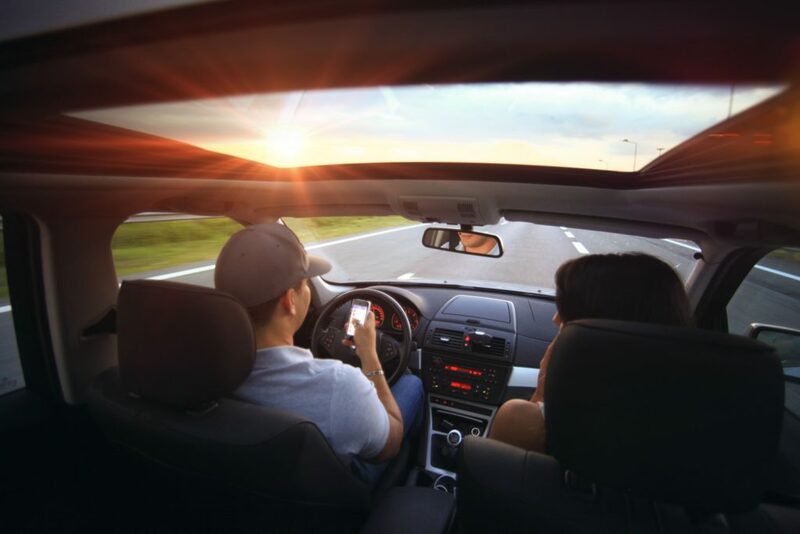 The law has already beefed up fines and penalties for distracted driving not to mention the civil damages for personal injury or wrongful death. Let’s put our cell phones down until we get to our destination.